Hans Ohrstrom has grown from being a single agent 15 years ago to now what most people in the GTA consider a mega real estate team with over 40 real estate team members now known as the Hans Ohrstrom Real Estate Team. So with so much competition in the real estate world, it is becoming harder and harder for a individual real estate agent to compete with the marketing power of a team, and after failing to lists a property over and over again, and the friends and family well has run dry, the question will enter an agents mind, should I join up with a real estate team? Hans Ohrstrom, Broker Of Record, for Homelife Eagle Realty explains that besides the great feeling of being in a real estate team and socializing, learning, growing and being surrounded by top real agents while making lifelong friends there are so many other shoes a successful real estate agent has to fill when they are on their own. Hans Ohrstrom used to be a one man show like most agents are today. Hans explains that not only do you have to be a real estate expert but he also in essence had to juggle all the following role: (1) A Marketing Genius (2) A Captivating Writer (3) A Customer Service Specialist (4) A Personal Assistant (5) Accounting Expert (6) Super Psychologist, as some clients actually complimented Hans Ohrstrom as being (7) Stager Extraordinaire (8) Professional Photographer & Videographer (9) Social Media Guru (10) A Master Negotiator (11) Sign Installer (12) General Contractor & Renovator & Cleaner & Landscaper (13) Inspector & GrowOp Detector (14) Telemarketer Door-to-Door Salesperson (15) A Mortgage Mathematician (16) SEO & Google Specialist & More! Now top this off with the 24 hours service that Hans Ohrstrom was providing and offer presentation at the sellers house where negotiations would sometimes last until 2am in the morning. Late night client calls from nervous 1st time buyers, early morning calls from clients regarding financing & closing issues. This responsibility an real estate is not for the weak hearted or emotionally unstable person as the life of a real estate agent is never ending roller coaster ride of ups and downs, something that Hans Ohrstrom feels he thrives off of as real estate never the same, there is always something new and challenging in this business. And Hans reminds us not to forget the most important role of being an incredible husband, as his wife Sandra Ohrstrom states almost daily with that twinkle of love in her eyes and recently a dad to the most incredible little baby in the world and Hans’s pride & joy, 18 month old son Titan Prince Ohrstrom. Hans states it’s an amazing feeling of excitement and joy selling a home that surpasses the clients highest expectations but Hans has also experienced the heart wrenching feeling of a clients loss of their potential dream home due to an unexpected financing issue. Hans Ohrstrom explains that there are so many different roles a real estate agent has to learn to take on which is why so many agents are not able to succeed in this extremely competitive business. That’s why joining a team like the Hans Ohrstrom Team has made such a difference to so many people who struggle in juggling all the different roles that a real estate agent has to juggle to become a successful. Hans remembers when he started juggling 2 items was fine and 3 was manageable but need to learn the skill, you start adding 4, 5 or 6 now you are in a whole new ball game that the average real estate agent will struggle to achieve, but with a team especially the size of that Hans Ohrstrom has built everything is now easier and more efficient with much better results. The Hans Ohrstrom Team has now completed over 1000 deals and this would have been impossible without strong and team of dedicated admin and team members. Hans Ohrstrom maxed out at 68 deals in 1 year on his own and realized if he was going to hit the goal of 100 deals in a year, a goal that Hans set the first year he obtained his real estate license and thus the HANS OHRSTROM REAL ESTATE TEAM was born. The Hans Ohrstrom Customer Service Team who handles all of the scheduling of open houses, signage, showing feedback, client requests & more. The Hans Ohrstrom Marketing Team handles all the MLS uploading, print marketing in the Toronto Star, Newmarket & Aurora ERA Banner, Bradford Times, Richmond Liberal, Vaughan Citizen, 100,000+ six page monthly flyer & newsletters. The Hans Ohrstrom Social Media & Online Team is responsible for Hans’s Facebook Page with over 3100 likes, Instagram, LinkedIn, Twitter, Google Ads, reaching over 150,000 online users weekly. The Hans Ohrstrom Staging Team manages free in home staging consultation from a professional interior designer, $500,000 of modern staging furniture in a 10,000 sqft warehouse which is also free, the scheduling of movers & renovators. The Hans Ohrstrom Signage Team orders, delivers, installs and removes, the Hans Ohrstrom Team For Sale Sign, Sold Sign, Lock boxes, Open House Signs & property rider. The Hans Ohrstrom Photo & Video Team Manages all the Coming Soon videos & photos, virtual tour videos & photos, hi-def drone videos, past client testemonial video, community & charity video & photo event coverage. The Hans Ohrstrom Legal & Mortgage Team is a team of Lawyers, Mortgage brokers & mobile bank reps who are available to our team within minutes of reaching out. They are there to advice on closing matters, contract matters, legal terms, contract issues, financial matters, current mortgage rates, pre-approvals & more. As you can see joining a team such as the Hans Ohrstrom Team has many benefits such as the above allow our team members to focus on what they really want todo which is providing their clients with the high level of service possible so when friend and family ask how did they do our clients can say FANTASTIC! 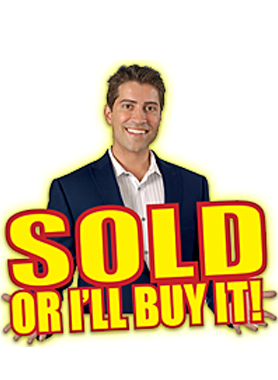 Hi Hans Ohrstrom, When I was browsing http://realestatechannel.ca I found your profile. Please contact me about your services. Thank you.